Denver Public Schools asked for help from the Colorado Department of Labor and Employment after teachers overwhelmingly voted to strike. The department will ask the teachers’ union to respond to the district’s request. Until they do and the department decides whether to get involved, the union cannot strike. 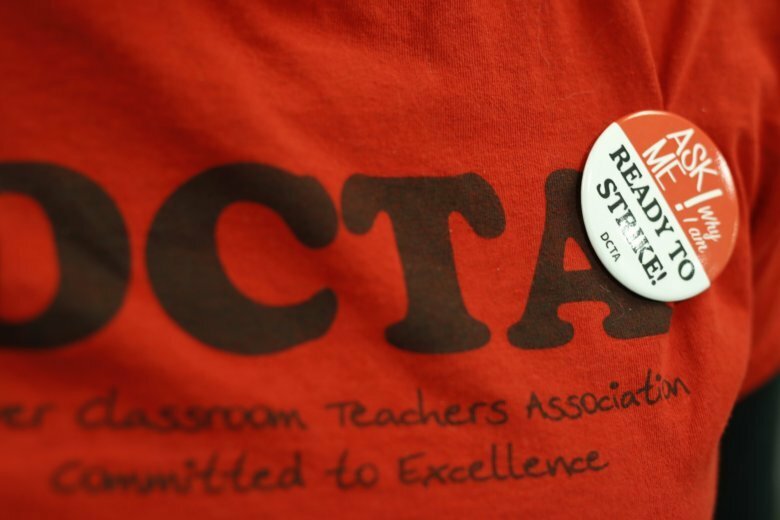 The teachers’ union announced late Tuesday that 93 percent of members voted to strike after contract talks broke down last week. Denver superintendent Susana Cordova, a former teacher who was recently hired as schools’ chief, has vowed to keep schools open if there is a strike and called on teachers to continue talking. The main sticking point is increasing base pay, including lessening teachers’ reliance on one-time bonuses for things such as having students with high test scores or working in a high-poverty school. Teachers also wanted to earn more for continuing their education. The union said the school district’s offer fell $8 million short from the funding it wants to change the compensation system, an amount it claims the district could find by reducing administrators’ bonuses and taking money out of a $64 million reserve. Teachers hoped to build on the “Red4Ed” movement that began last year in West Virginia and moved to Oklahoma, Kentucky, Arizona, and Washington state. It spread from conservative states with “right to work” laws that limit the ability to strike to the more liberal West Coast with strong unions.